Smart inhalers are increasingly becoming the preferred course of managing and treating respiratory diseases. An increasing number of companies are implementing digital technologies in their products to provide an enhanced way of managing asthma and chronic obstructive pulmonary disease (COPD), as well as improving the effectiveness of medication. A number of products are already available in the market and several new products are expected to receive approvals and hit the global market in the next few years. The company Propeller Health (Madison, Wisc) has made inroads in the smart inhalers market through a new FDA-approved mobile platform that monitors and measures when patients take their medicines. The Propeller smart inhaler system includes sensors that are attached to an asthma inhaler, mobile applications, and an analytical system to help patients keep a track of their medication use. AstraZeneca has collaborated with the New Zealand-based company Adherium Limited that manufactures a line of medical devices named Smartinhaler. The Adherium products help the patient track the use of the prescribed medicine and provides audio and visual alerts to remind the patient about a missed dose. Several other companies, including Gecko Health Innovations, Cohero Health, and Opko Health, are working on smart inhalers and the market is soon expected to become competitive in terms of product features and reliability. Looking at the high rate of prevalence of respiratory diseases among the world population and the constant rise in air pollution in developing economies, the demand for smart inhalers is expected to see an upward trend in the next few years. Smart inhalers refer to the futuristic devices that enable the easy tracking of the consumption amount/volume of medicines prescribed to asthma or chronic obstructive pulmonary disease (COPD) patients through inherent sensors or normal inhalers or nebulizers with clip-on sensors attached externally. Smart inhalers are garnering increased prominence across the globe owing to their many potential benefits over conventional devices, chiefly in terms of tracking drug intake with the help of digital data gathered from the sensor and alerting patients through timely notifications. This report on the global smart inhalers market presents a detailed overview of the market’s present state of growth dynamics and includes several predictions regarding its scope of growth over the period between 2017 and 2025. The report segments the market on the basis of a number of criteria to give an expansive account of top areas of investment offered by the market. A geography-based analysis of the market is also presented to allow the reader a clear understanding of the most profitable regional markets. The report presents a detailed analysis of the key factors expected to have a significant influence on the overall growth prospects of the market in the future years, including growth drivers, restraints, challenges, trends, and opportunities. Forward-looking statements presented in the study are backed with vast qualitative and quantitative details about the market and its key segments. For asthma and COPD patients, inhalation is considered the most effective route of delivering medications in the fastest possible time to the respiratory system. Thus, asthma and COPD patients are prescribed with medications that can be delivered through specialized devices called inhalers. In order to mitigate the possibility of undergoing medical complications due to missed dose for an indication, smart inhalers have been devised. These connectible devices alert patients about forgotten or missed dosages through notifications on a device connected with the smart inhaler, such as a mobile computing device. Rising awareness about this novel approach in the management of asthma and COPD is expected to be the key factor driving the global smart inhalers market in the next few years. The market for smart inhalers is also expected to be driven due to the rising incidences of respiratory disorders such as COPD and asthma, chiefly owing to rising levels of air pollution and the continuously rising number of smokers across the globe. However, factors such as the high cost of treatment of asthma and COPD, the non-availability of many product varieties, and limited availability of products across several regional markets are expected to hinder the overall growth prospects of the market to a certain extent. General data security concerns associated with connected devices is also expected to limit the adoption of smart inhalers to a certain extent. The global smart inhalers market is presently dominated by North America, which accounted for a dominant share in terms of revenue contribution to the global market in 2016. A significant rise in the patient-base of COPD and asthma, encouraging government initiatives, and high acceptance of innovative and advanced technology allow North America to take the lead in the global market. The extensive use of smart computing devices has also enabled the North America smart inhalers market to become an early adopter of smart inhalers. In the next few years, Asia Pacific is expected to emerge as one of the key regional markets for smart inhalers owing to a rising population of affluent patients, increasing expenditure on healthcare, and rising prevalence of respiratory disorders. 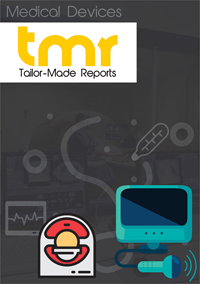 Some of the leading companies operating in the global smart inhaler market are Adherium, Teva Pharmaceutical Industries Ltd., Propeller Health, AstraZeneca plc, Boehringer Ingelheim GmbH, Adherium Limited, Vectura Group plc, Cohero Health, LLC, GlaxoSmithKline plc, Novartis AG, OPKO Health, Inc., and Propeller Health.